On Sunday, November 19, we will celebrate the Feast of Dedication at St. Mark's. 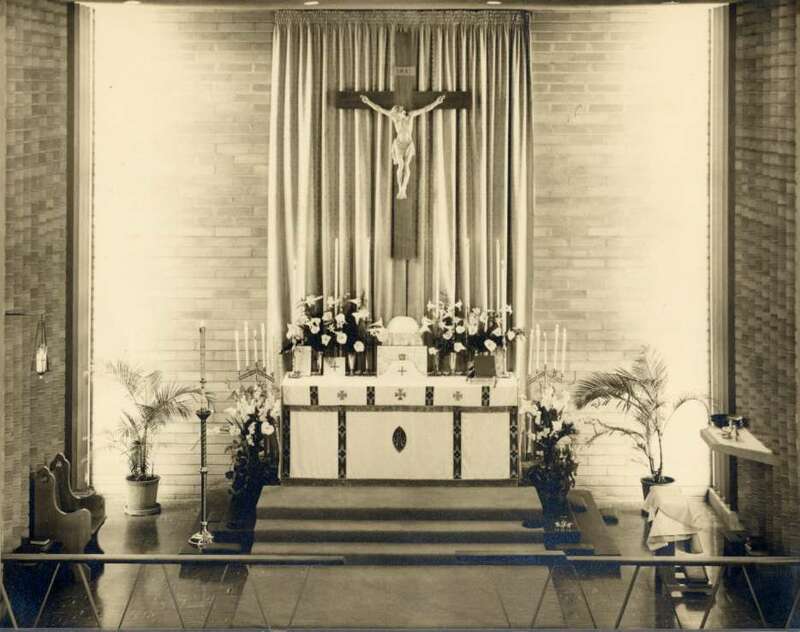 Our current church building was consecrated on November 28, 1954. When the building was being built, November 28 was not widely known in the Episcopal Church as the Feast of the Holy Sovereigns, as this day was not a part of the calendar until many decades later, and I do not know the history of when the celebrations of this date began in our diocese. Whatever the case might be, we now celebrate November 28 as the Feast of the Holy Sovereigns in this diocese, and the bishop commends all churches to celebrate Emma and Kamehameha IV's witness on the Last Sunday after Pentecost. St. Mark's was founded in memory of Queen Emma, who died on St. Mark's Day, by the Hawaiian congregation and ‘Iolani Guild at St. Andrew's Cathedral. This means that November 28 has a very special significance for us. Queen Emma is one of our patron saints, along with St. Mark, and so November 28 is our patronal feast, along with April 25 for St. Mark. However, November 28 is also our Feast of Dedication, so it is a double celebration for us. The worship ministry at St. Mark's has discovered a proper way to celebrate our Feast of Dedication and our Feast of Patron. We will continue to celebrate the Feast of the Holy Sovereigns in conjunction with the Feast of Christ the King every year on the Last Sunday after Pentecost. In addition to this, we will celebrate the Feast of Dedication on the Sunday prior. The readings for the Feast of Dedication are listed on page 929 of the Book of Common Prayer. At the end of high mass on this Sunday, we will process outside to the cornerstone of the church for a final blessing. This arrangement allows us to observe both occasions with more intention. (As for information regarding the transferring of the feasts of dedication and patron to a Sunday, see page 16 of the BCP.) Thus on Sunday, November 19, we begin our weeklong celebration of Dedication and Patron. At the Feast of Dedication we will have our biannual port wine ingathering, and at the Patronal Feast we will have special aloha hours after both morning masses in honor of our ministries. I hope you can be with us for both celebratory days. Finally, a word about the Introit at high mass for the Feast of Dedication. The English translation of the Latin text that is often used is, "Oh how awesome is this place. It is none other than the house of God." The Latin text begins, "Terribilis set locus iste." Sometimes this is translated as, "How dreadful is this place!" I always smile when I hear this, because I picture some poor low church soul wandering into St. Mark's on this particular Sunday when the clouds of incense are billowing and thinking, "how dreadful is this place!" Nevertheless, we love our little house of God, and when we enter we know that God is truly present. It is an awesome house, for it is none other than the House of God.